The Great Belt flora can be found from the eastern and southern coasts of Djursland and south along the east-coast of The Funen and the west-coast of Seeland including the isles in The Great Belt. Characteristic plants are Geranium sanguineum, Malva alcea, Medicago minima, Thalictrum minus, Petrorhagia prolifera and Seseli libanotis. 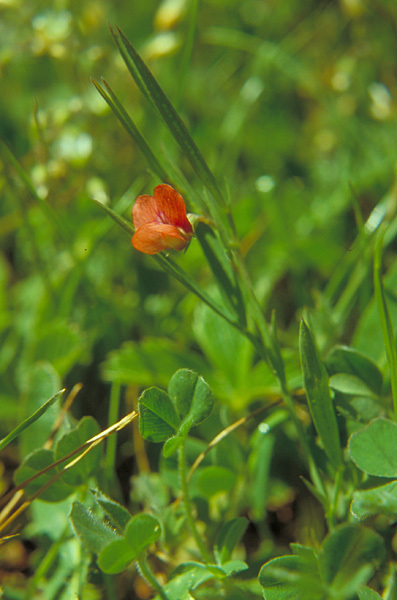 The tiny Lathyrus sphaericus at the right is one of the rarest species in the Great Belt flora. 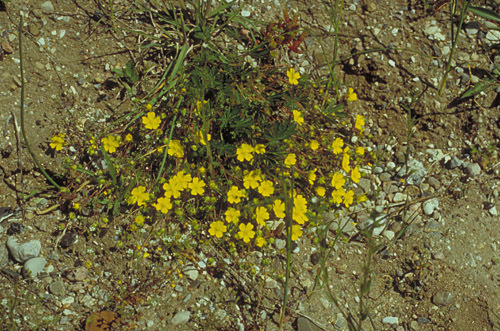 Potentilla tabernaemontani (picture buttom) is more frequent and can only be found in the northern part of the Great Belt area. Back to The isles of The Great Belt.